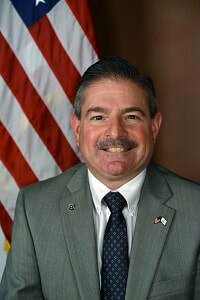 Kenneth J. Mendonça (R) was elected to serve the residents of Portsmouth and Middletown in District 72 in November 2016. He is a member of the House Committee on Finance and the House Committee on Veterans’ Affairs. Rep. Mendonca is a lifelong resident of the East Bay and has been a Portsmouth resident for 19 years. He graduated from Rogers High School in Newport and earned a Bachelor of Science Degree in Information Systems Science and a Master of Business Administration from Salve Regina University. Professionally he has been employed by Rite-Solutions for 11 years as a systems engineer/program manager for the information technology networks branch supporting operations, maintenance, services, security, information assurance and cybersecurity at the Naval Undersea Warfare Center (NUWC). He has been employed in the Aquidneck Island defense industry for more than 23 years and prior to that period he was employed by a high technology firm in Middletown for nine years. Rep. Mendonca has been married for 24 years to Nancy (Wilson), an educator at the Portsmouth Middle School. His daughter, Kaleigh, attended Portsmouth Public Schools and is fulltime student at Rhode Island College.